A Hong Kong newsmaker is chosen each month by HKFP. Click here to view previous nominees. 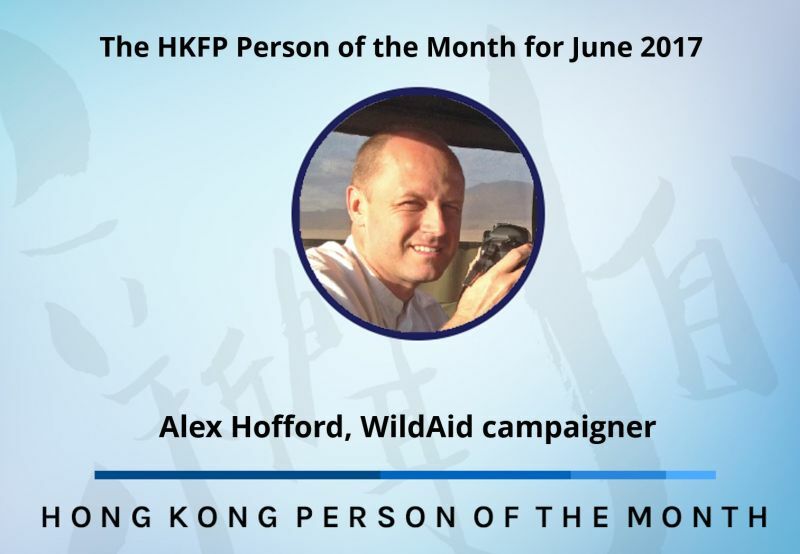 Alex Hofford, campaigner for NGO WildAid, is selected as our Person of the Month for June 2017. EPA photojournalist Alex Hofford has been a nature lover since a young age. He moved from Cambridge in the UK to Hong Kong in 1997 and became engaged in wildlife conservation advocacy in 2005. In 2014, he joined the Hong Kong chapter of international NGO WildAid, which fights the illegal wildlife trade by engaging the public and the corporate sector to stop buying, selling and shipping wildlife products. The Hong Kong chapter focuses on shark fin and ivory. 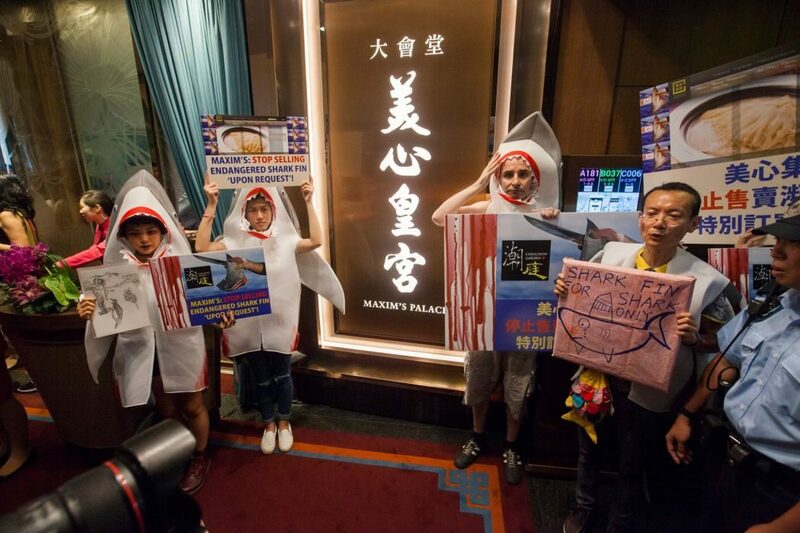 This month, Hofford and other WildAid activists staged a protest outside a restaurant belonging to Maxim’s Caterers to urge the business group to stop selling shark fin soup. WildAid is holding an art exhibition with giant shark installations in Central. Their efforts have yielded some success. 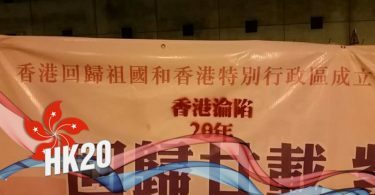 The Hong Kong government proposed last year banning the ivory trade by 2021, though critics have argued that the ban is not progressive enough and called for an immediate ban. WildAid has also managed to get 44 airlines worldwide – including Cathay Pacific and Air China – and 17 container shipping lines such as Maersk and China COSCO shipping to stop shipping shark fin. “[It] is great, but hasn’t been easy,” Alex Hofford told HKFP. 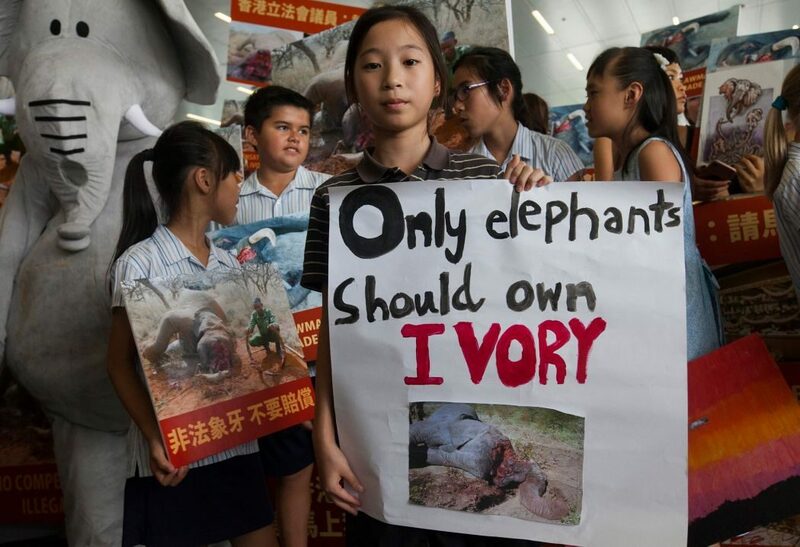 He plans media campaigns for WildAid Hong Kong and documents its protests and events. “As for the Hong Kong government, they used to hate us, but now they’re on our side,” he said, adding that WildAid is an apolitical organisation and will work with any government to save endangered species. 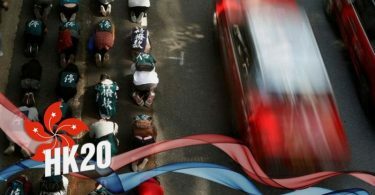 Hofford thinks that the pace of change in Hong Kong is slow, but he said in general it is moving in the right direction. 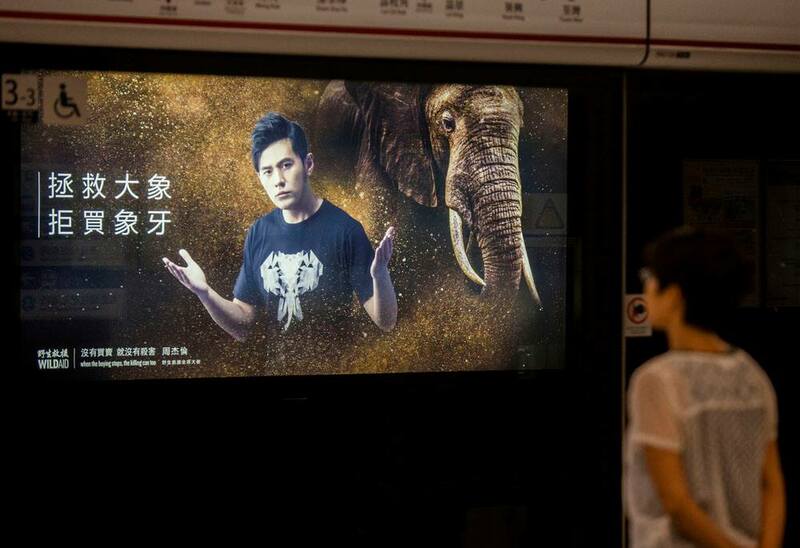 “Save elephants, don’t buy ivory” – WildAid placed adverts in the MTR. Photo: WildAid HK, via Facebook. Though WildAid Hong Kong focuses only on sharks and elephants owing to manpower constraints, Hofford said Hong Kong has a destructive influence on other species by acting as a transit hub and even destination for smuggled wildlife products, such as seahorses, pangolin scales, rhino horn, tropical birds, and agarwood. To stop this, Hofford thinks that Hongkongers need to change how they see wildlife. “These things are not just ‘products,’ but beautiful natural fauna and flora which should just be left alone in the wild, not guzzled and traded and hoarded for reasons of face, status and greed,” he said.